We hadn't made fried rice in a while, and we both had a hankering for it, so I decided to make some. And then I went for Salmon Fried Rice since it was Saturday - seafood day. Two birds and all, right? I know last time, I said Fried Rice is good for using up ALL the things. However, it's also good when the refrigerator's empty. 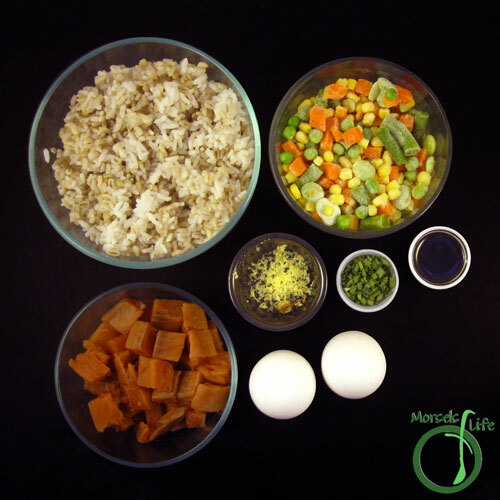 Just some eggs, rice, and mixed frozen vegetables, and you're good to go! (And in this case, salmon. Because you know, Salmon Fried Rice. A quick and enjoyable meal. Only thing I forgot was adding a bit of leftover bok choy into the mix. Yummy! What's your favorite fried rice add in? Quick, simple, and healthy. 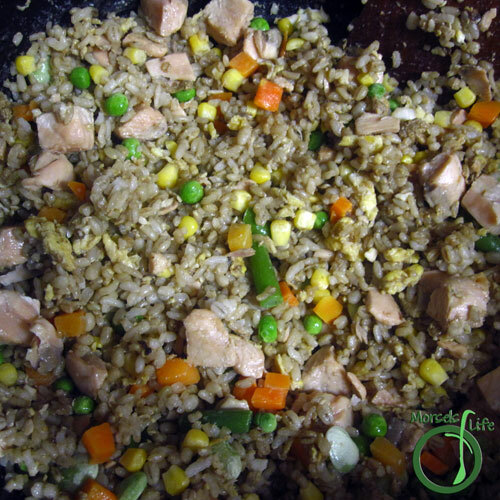 Make this Salmon Fried Rice with leftover odds and ends or when you're low on groceries. 393 grams 3 cups rice, cooked and cooled I used a mixture of white rice, brown rice, and barley. 3. 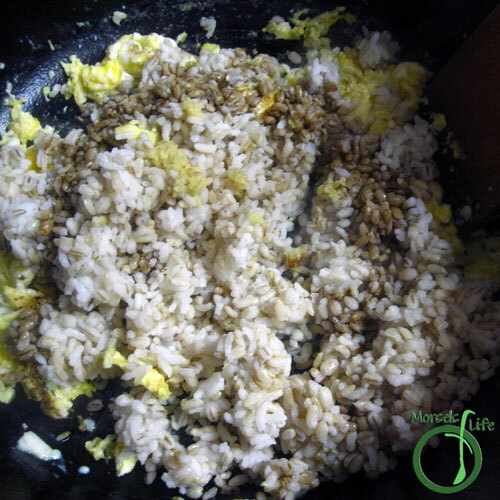 Mix in rice and soy sauce, making sure to fry the rice a bit. 4. Make a hole in the middle and add in salmon. 5. When salmon is mostly done, add in veggies, and cook until everything heated. Great recipe - I love recipes that are a whole meal in one dish and I love salmon. 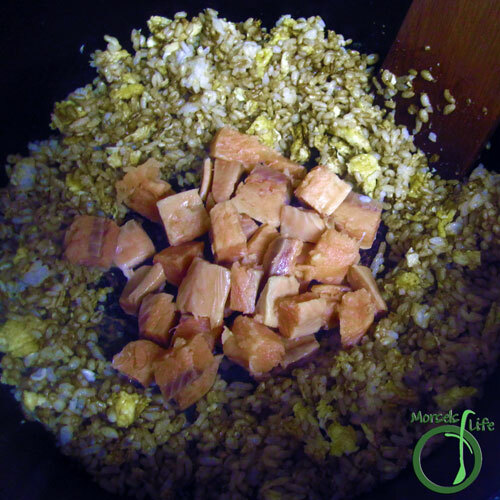 This seems so simple to make and healthy, Thanks for sharing on Real Food Fridays. Pinned & tweeted. Me too! Especially ones where you can throw in all the leftovers. :) Thanks for stopping by, Marla! Fried rice's great for all sorts of leftovers. :) The salmon adds great flavor too! 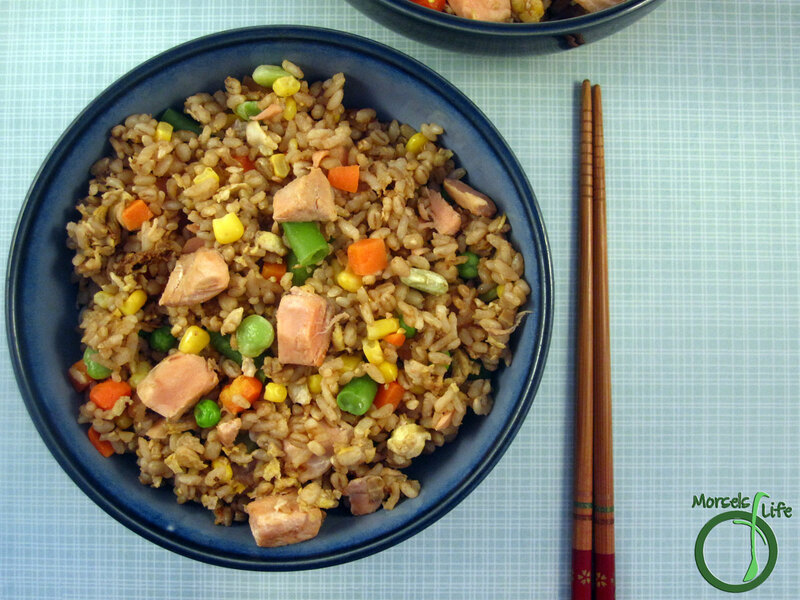 I haven't made salmon in a while, and I never thought of adding it to fried rice, but this looks so good and healthy! That looks really good! 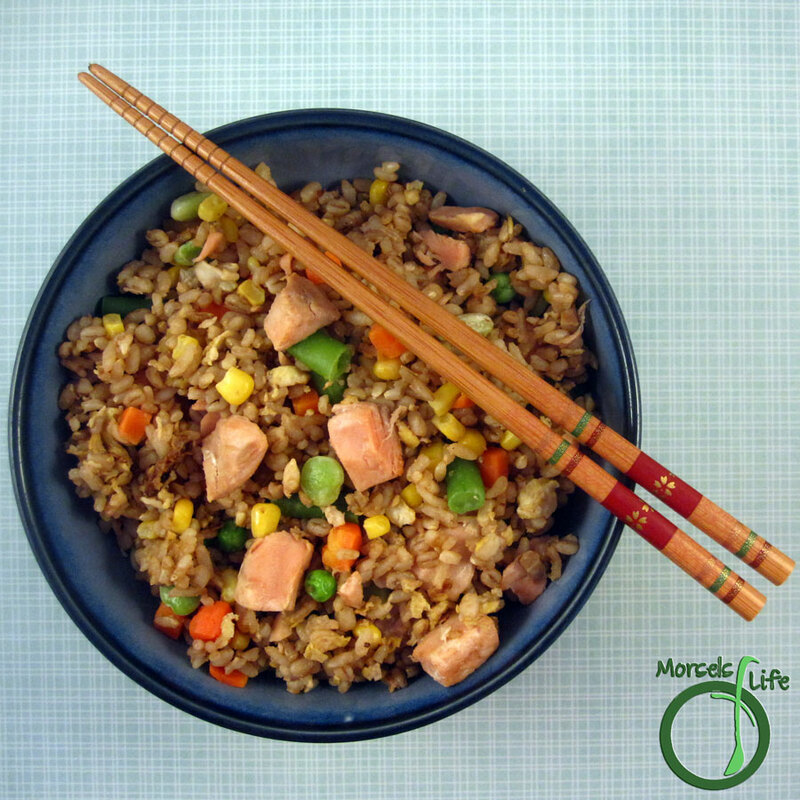 We love salmon and fried rice but have not tried it together! 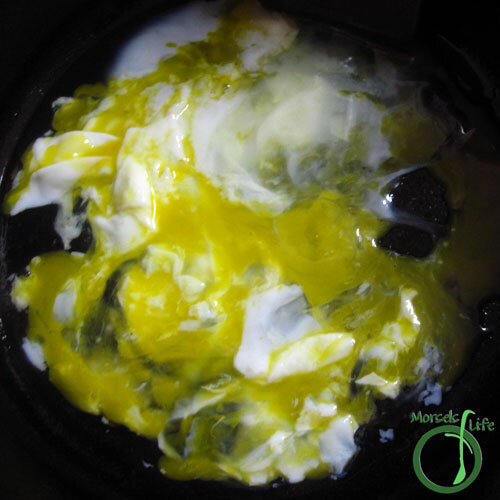 Thank you for linking up at #healthylivinglinkparty. We were the same way, and then I decided to try them together. And since then, we've had it many times. :) Hope you enjoy! 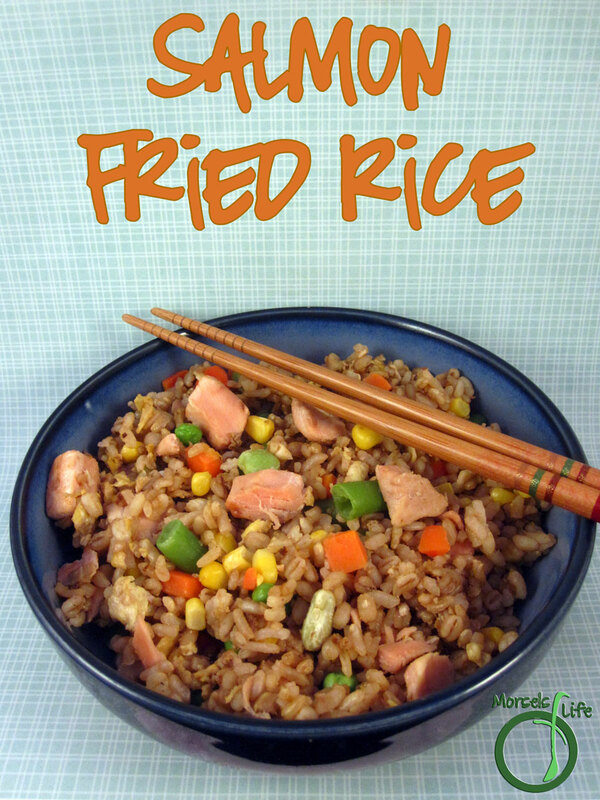 I have never had Salmon Fried Rice, but it sure sounds good, I would love to try it! Thanks so much for sharing with Full Plate Thursday and hope you have a great week. This looks really good. My husband would love this recipe. It is definitely going on my "to make" list! Thank you for sharing and linking up with us over at the Welcome Home Wednesdays Link Party!